Get your vehicle up and running with our trusted auto body repair shop and roadside service. We offer 24/7 emergency assistance and towing. When you require auto assistance in the Lloydminster area, Midway Autobody & Service Ltd should be your first call. We’re a seasoned, professional auto body shop that offers 24/7 towing services in Northeastern Alberta and Northwestern Saskatchewan. We can help anyone in or around Lloydminster. If you break down in your car or truck, we offer towing and 24/7 roadside assistance. For vehicle damage, visit our auto body shop for repairs. 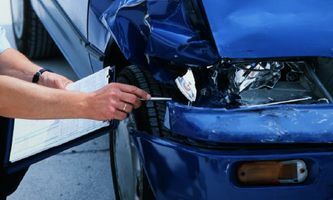 Whether you have minor dings and scrapes from a parking mishap or extensive damage following an accident, we can work with insurance providers and offer repairs that will restore your vehicle’s look and performance. Midway is award-winning company with 20 years of experience. In 2015, we won the prestigious CAA Saskatchewan Award of Excellence for Roadside Assistance. Our trusted tradesmen are proud to offer top-quality auto service that will keep your car running safely and smoothly. When you experience car troubles, our top priority is getting you back out on the road as quickly as possible while also improving the condition and performance of your vehicle. We do repairs right while saving you money. 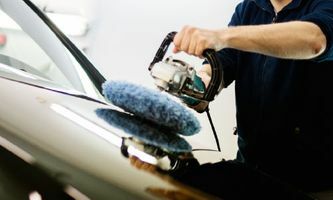 Your car is one of your most valuable possessions, so when it requires service, come see the trusted professionals who will give it the care and expert attention it deserves. Call us today to find out all the ways that we can help.